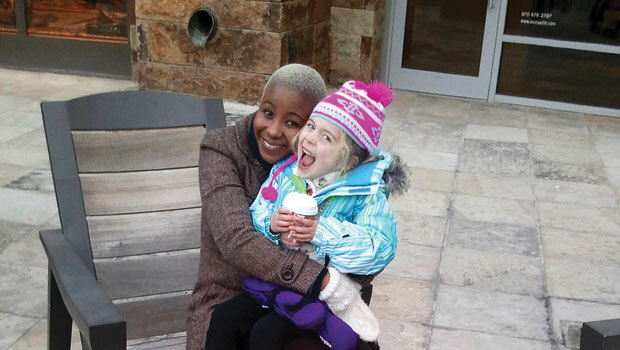 Jabulile M. from South Africa is an au pair in Colorado, USA. Your first several days with your host family are likely to be somewhat stressful for both you and the children. Just as you are getting to know your new host family, they are getting to know you. The children are excited to have you join the family, but are also a little nervous because they don’t know you yet. If a child is shy, don’t push them by trying too hard. Very young children may be reluctant to get too close - this is very normal, and it doesn’t mean they aren’t going to like you. Give reluctant children lots of space. Each child gets to know new people at their own speed, and some may need some time to be comfortable around you. How do they discipline their children? How do they motivate and reward their children? What are the house rules for television viewing, video games, and computer use? What are the family rules regarding manners, taking care of personal belongings, housework, and pets? What are the child’s favorite foods? What snacks and treats are allowed? What are the daily routines and weekly schedule? Where are the children allowed to play outside? What is off-limits? What are the guidelines for indoor play? How do you operate household appliances, like the washing machine and oven? What are the rules of using the car? Do you have to keep a curfew? When is it? What are the rules about using the telephone? Your early interaction with the children in your host family is very important. As they do with any new caretaker, the children are going to test limits; they want to see how much they can do. Know the house rules and be firm. It is much easier to start off very strict and become more flexible than it is to be lenient before imposing rules. You want to be friendly and warm with the children, but you are not their friend; you are a caretaker, and they have to respect your authority. Understanding how children grow and learn is an extremely important part of working with children. If you know more about what children can do and what defines normal behavior, you will be much better equipped to handle daily challenges as an au pair. The goal of this guide is to give you some idea of what you might expect from children in every stage of development. Even if your host family doesn’t have a child in a certain age group, it is a good idea to learn about all ages and stages of development so that you will better understand the full scope and spectrum of childhood. Throughout your study of child development and your ongoing work with children, it is important to remember that every child is an individual. All children develop differently: They may go through phases at different speeds, or in a different order. Many children appear to be in more than one developmental stage at once. For example, some babies walk at 10 months of age, some at 16 months of age. Some babies never learn to crawl, and just start walking instead. All three situations are normal. If you have any questions about a child’s development, ask your host parents. Your local library is also an excellent source of books and other information about child development.